Well Go USA recently released information for their upcoming DVD & Blu-Ray for "White Haired Witch". The film is loosely adapted from Liang Yusheng’s novel Baifa Monü Zhuan and stars Fan Bingbing (Iron Man 3, X-Men: Days of Future Past) and Huang Xiaoming (Eastern Bandits, Ip Man 2). Special features on the DVD and Blu-Ray includes "Making of Featurette". "White Haired Witch" hits retail on 3/10. 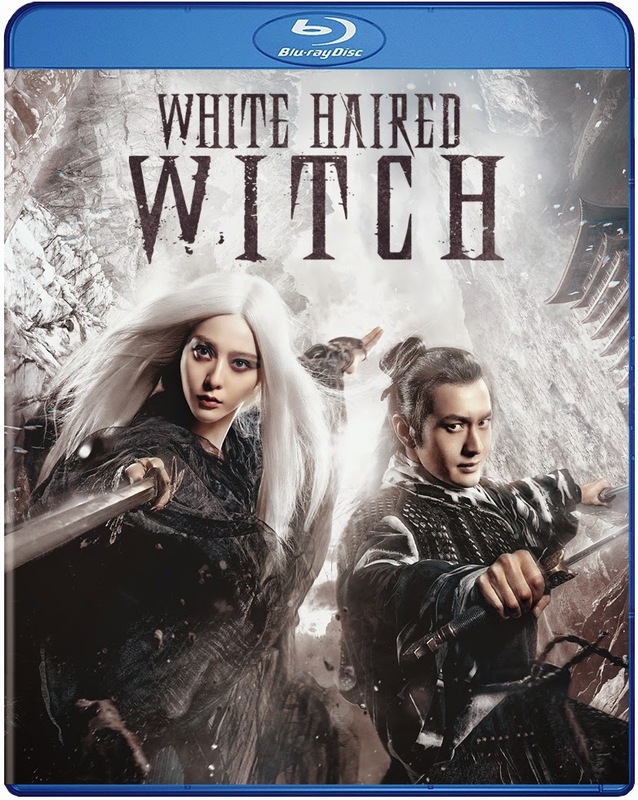 Jacob Cheung’s (Twin Dragons) elaborate wuxia-fantasy WHITE HAIRED WITCH debuts on Blu-ray™, DVD and digital March 10 from Well Go USA Entertainment. The martial arts extravaganza is loosely adapted from Liang Yusheng’s novel Baifa Monü Zhuan and stars Fan Bingbing (Iron Man 3, X-Men: Days of Future Past) and Huang Xiaoming (Eastern Bandits, Ip Man 2) as a pair of star-crossed lovers whose love could change the fate of the nation. The films also stars Vincent Zhao (Wu Dang) and features action choreography by Stephen Tung (Saving General Yang). Bonus features on WHITE HAIRED WITCH include a “Making-of” featurette. In the twilight of the Ming Dynasty, the Imperial court is plagued by corruption as tyrants rule over the land. With the Manchurians preying on a weakened empire, war is imminent. To save the victims from their suffering, sorceress Jade Raksha fights the soldiers who oppress people for their own gain. As payback, local government officials decide to pin the murder of Governor Zhuo Zhonglian on Jade, turning her and the members of her cult into wanted fugitives for a crime they didn’t commit. WHITE HAIRED WITCH has a runtime of approximately 104 minutes and is not rated.